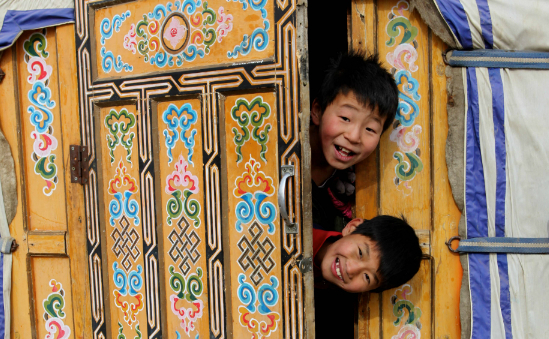 A little boy in Mongolia smiles up at the camera. 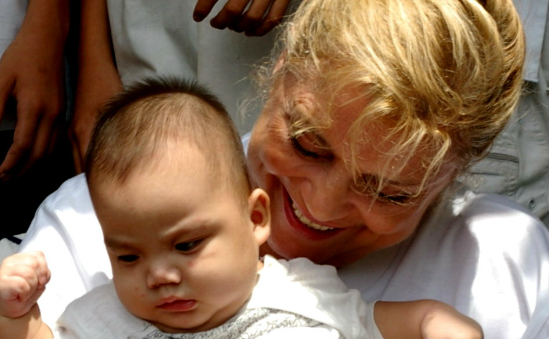 The Christina Noble Children's Foundation is an International Partnership of people dedicated to serving underprivileged children with the hope of helping each child maximize their life potential. 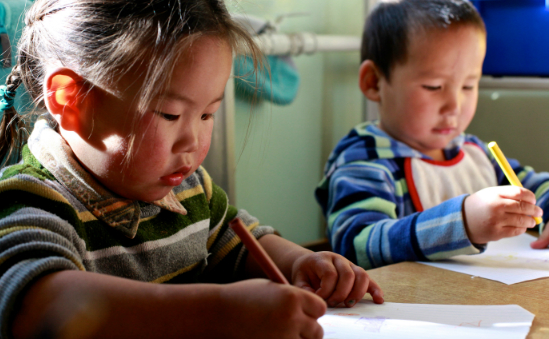 Our programmes in Vietnam and Mongolia seek to protect children at risk of economic and sexual exploitation, while ensuring these and other children in need have access to basic care and educational opportunities. The programmes include: emergency and long-term medical care, nutritional rehabilitation, educational and vocational training and job placement. This is accomplished within the context of the family and the community whenever possible, and always with love and respect for the dignity of each child as an individual. 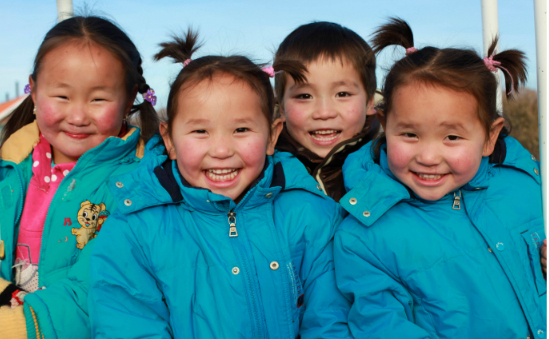 The CNCF Child Sponsorship Programme was first established in 1996 in Vietnam and a year later it was introduced in Mongolia to assist and encourage young, at risk street children to gain an education and continue in the mainstream schooling system. For just USD$31 per month provides a better quality of life for a child, by providing access to a decent education, emergency medical assistance and an improved quality of home life. These goals are achieved within the context of the child's family and community. CNCF strongly believes in the importance of helping people change their own lives. As such, the needs of each individual child and family are different and can be tailored for the child's needs. For example, a child who is working needs to be able to access a special alternative education programme with flexible hours, while older children need meaningful vocational training, health care, family life education and job placement assistance. 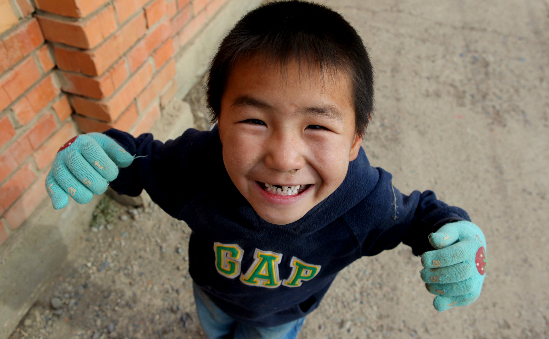 By the end of 2008 the child sponsorship teams in Vietnam and Mongolia are working with over 1,200 and 1,500 children and their families, respectively. We believe that health care is a right of all children, and that preventative health care is an essential building block to a healthy and productive life. Through our programmes in Vietnam and Mongolia, CNCF has touched the lives of thousands of children by providing an international standard of healthcare, free of charge, to children from poor families and local orphanages. Some children suffer simply from a lack of basic health care, while others are faced with greater developmental challenges that require the help of specialists. Through these programmes, children can receive hands on treatment, while families can learn best practice for sustainable family wellness. 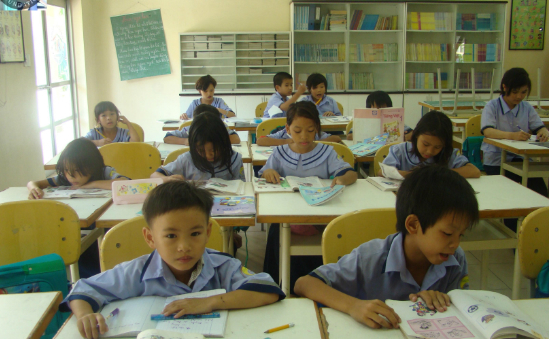 In harmony with the beliefs of CNCF, where we believe that every child deserves the right to a decent education for a productive future, we are able to bring educational support to disadvantaged children through programmes in Vietnam and Mongolia. 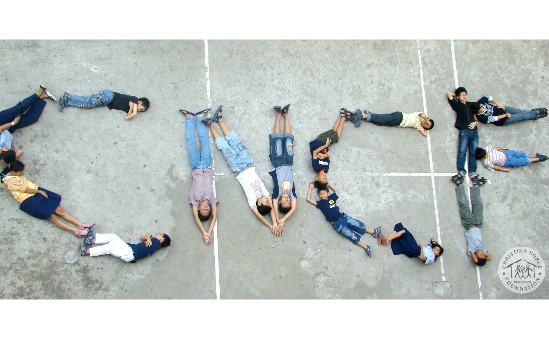 CNCF educational programmes provide basic school needs to at risk and disadvantaged children and support over-stretched or financially challenged families. Through these programmes, children remain in school, engage in after school activities and learn life skills that will provide prospects for a better future while keeping them off the streets. 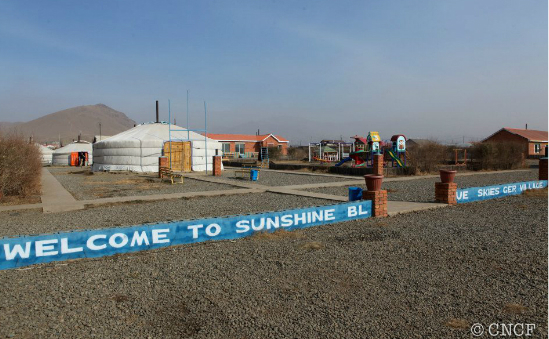 Due to their lack of financial resources and the daily pressures, children in need often either never attend school or drop out at an early age. Education is crucial to the development of any child and is a basic human right. Without education a child has no means to develop and pursue their chosen path in life or at the very least, escape the destructive cycle of poverty. The social influences and encouragement a child receives at school play a significant role in the social and moral development of a child and a society. The breakdown of traditional village life has lead to a growing number of children to the streets, many of whom are at-risk for commercial exploitation. Our community programmes seek to reconstruct elements of healthy community life, from providing shelter and other basic needs for children escaping dysfunctional families to building infrastructure that communities need to survive and thrive in today's world. We aim to create healthy and enhanced community environments so that children to discover themselves and develop their potential abilities.